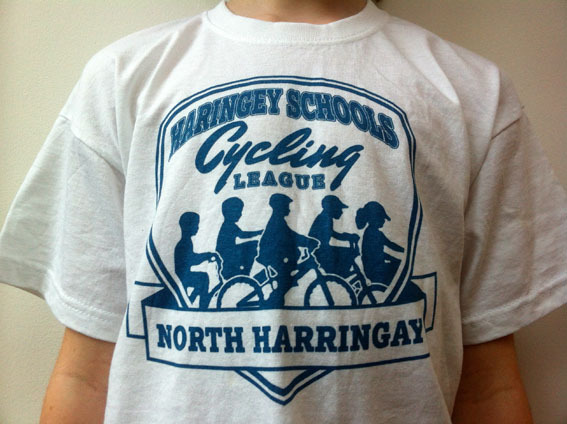 The Haringey Schools Cycling League is open to all primary schools in the borough. Children from Years 4, 5 and 6 can take part. Each participating school should be able to provide 10 children per event (preferably five girls, five boys) and at least one adult supervisor. Events generally happen once a month on a Friday, between 12:30 and 2:30 pm. All children should be competent cyclists, though they do not need to have any racing experience. Bikes will be provided, but schools should bring helmets if possible. If you’d like to take part in the League, or if you have any questions, please email us. I’d like my kids to enter next year. They’re both at our lady of Muswell Hill school. If the school’s pe provision can’t cover this activity I’ll try to take the time off work to do so. That’s great to hear, Meg. Let us know how discussions go with your school and if we can do anything to help. Parent involvement is always welcome, a lot of what we do is with volunteer support and it also helps champion cycling within schools. Update us when you can, and we’ll be in touch after the holidays.